Sleek and modern? Rustic charm? Natural beauty? No matter what your taste, you’ll find a space that fits your wedding style, thanks to seven new Wisconsin wedding venues. Why It’s Hot: The Court Above Main is a newly renovated historic loft event space in the heart of downtown La Crosse, just blocks away from the Mississippi River. Elevated three stories above Main Street on the third floor of the Wedding Tree, a locally owned bridal shop, this former YWCA gymnasium is now an elegant ballroom. “It’s a transformation that you have to see with your own eyes,” says event coordinator Allison Krzysch. 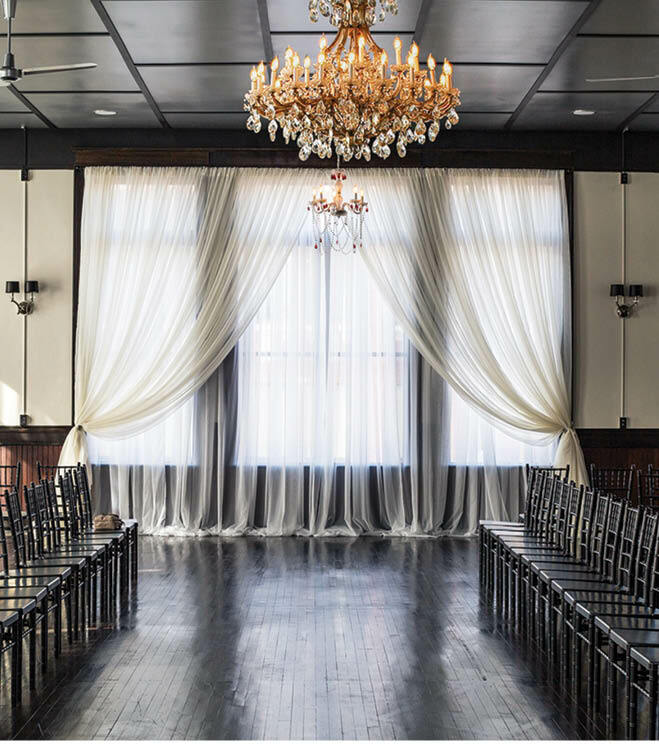 What to Know: The space, which seats 190 guests, features original restored hardwood floors, sparkling crystal chandeliers, draped floor-to-ceiling windows and a balcony. The venue also boasts a charming lounge (in the former YWCA shower and locker rooms), highlighted by a double-sided full bar. Who Will Love It: Couples who yearn for a historic space with modern convenience will be immediately drawn to this venue. The décor also pays tribute to local La Crosse history—the front of the bar is constructed with a historic door from a local doctor’s office, and century-old finishes and décor have been repurposed for the new space. Why It’s Hot: Location, location, location! The Box is situated in the heart of downtown Milwaukee on bustling Wisconsin Avenue. 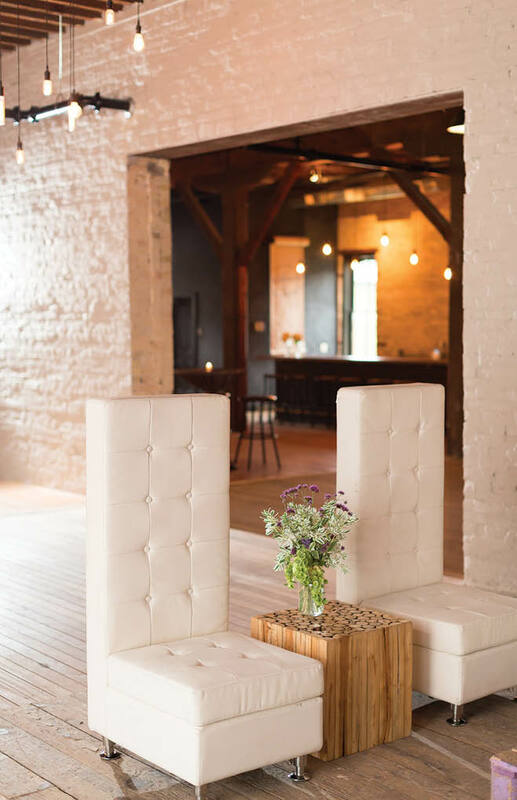 With its 3,000-square-foot open-concept, loft-style floor plan, the flexibility of the venue allows couples to simply use its existing minimalist charm or create an opulent setting that’s uniquely theirs. What to Know: The Box features Cream City brick walls, hardwood floors, vintage lighting fixtures and an eclectic mix of vintage, modern and traditional furniture. Candles, vases, trays and other décor items are all included in the rental price. Who Will Love It: The Box is perfect for couples looking for a posh loft wedding space. Capacity tops out at 250 (for a cocktail reception), and the Box team offers on-site event coordination. Check out the Tool Box feature at theboxmke.com for a fully vetted list of preferred vendors. 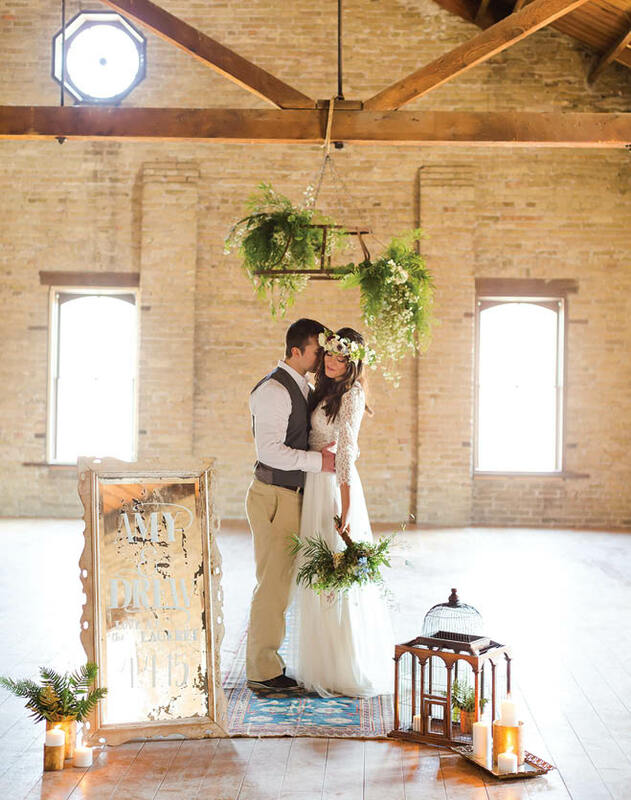 Why It’s Hot: A turn-of-the-century warehouse, the Lageret is the Madison area’s newest wedding venue that’s all about boho elegance. The event space boasts two floors of functional space, with room for up to 240 guests. A bar and dance area are located on the first floor, while the second floor features an open area with an altar-type structure built from an old ladder, and an open dining area that runs the length of the building. A petite outdoor space adds fresh-air appeal. 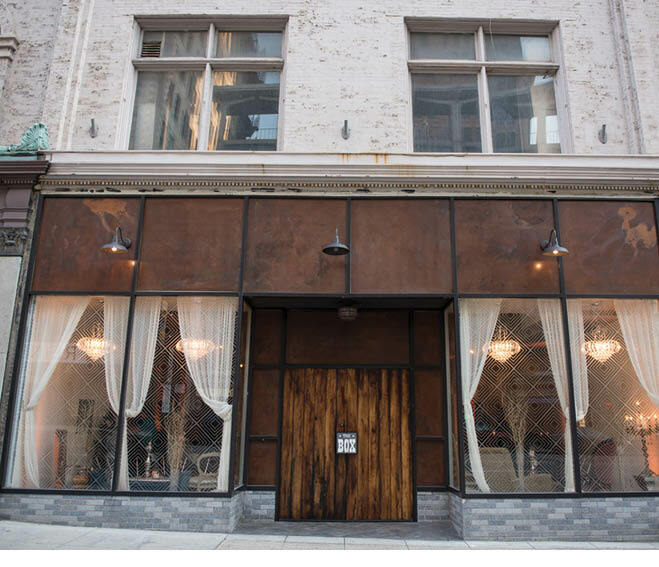 Who Will Love It: The space appeals to both masculine and feminine sensibilities, with exposed brick, minimalist charm and unique extras like a copper bar that Ramsden created with $45 in pennies and epoxy. Why It’s Hot: This unique venue, owned by the popular SURG Restaurant Group, lives up to its name with a modern lattice-like ceiling, crisscrossed by a forest of wooden beams lit by LED lights. The sleek interior features state-of-the-art audio-visual equipment, including a wall-size screen and ceiling-mounted projector. Menu options are nearly unlimited, highlighting selections from several SURG restaurants. What to Know: The venue is located in the heart of downtown Milwaukee, a short walk to nightlife and hotel destinations. Lucid, a hookah bar next door, is a fun post-party stop for night-owl guests. The space accommodates up to 225 for a reception-style event. Who Will Love It: An über-modern space, the Garden is perfect for couples who love to party. Contemporary interiors set the scene, while its audio-visual options allow for LED lighting customization and over-the-top visual presentations. Why It’s Hot: This vintage structure, an example of 19th century timber-frame construction, is on the “quiet side” of Door County in Baileys Harbor. In 2013, owner David Peterson finished the property and updated the barn with full concrete flooring, a wood bar, rock wall gardens and timber fencing on the property. He has a full organic garden on the grounds, and 50 chickens that produce organic eggs. Who Will Love It: Couples who yearn for a natural, rustic setting will be a perfect fit for this barn event space. The farm sits on 10 acres, and overlooks more than 100 acres of untouched property. The décor is simple and clean, featuring 13 black wrought-iron chandeliers on dimmers in the barn and a large wooden bar. 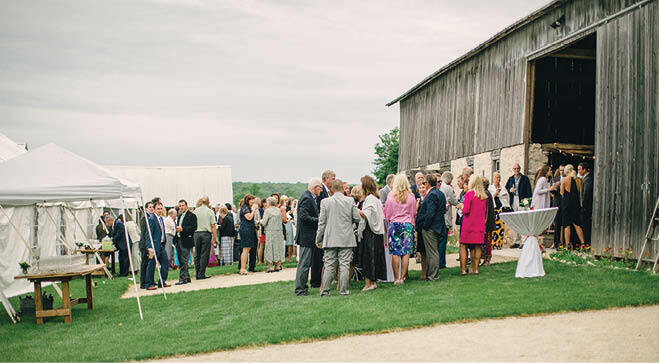 Why It’s Hot: This Delafield property, located on the picturesque Bark River, boasts extensive farmland and multiple sites for wedding ceremonies and scenic photos. The barn itself is a huge 6,000 square feet, and can host up to 300 guests between the lower level and hayloft. 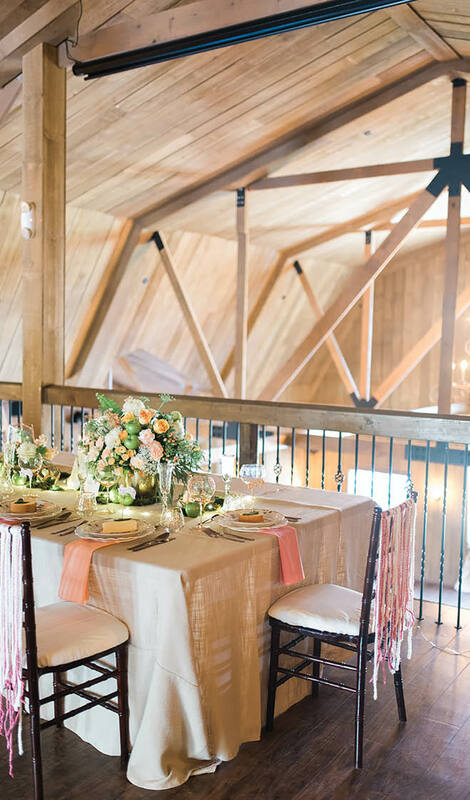 The barn features handicap accessible restrooms, bridal quarters with salon set-up, groom quarters with rustic “man cave” lounging, a 24-foot hand-crafted bar, private vendor staging room, a hayloft overlooking the main hall and a deck overlooking the stunning scenery. What to Know: Reserving the manor also means a complimentary stay for couples at the on-site bed and breakfast. Shuttle service provides transportation to nearby hotels for guests. A host of wedding planning services offered by the venue also makes this a stress-free choice. Who Will Love It: Couples looking to indulge in the natural beauty of southeastern Wisconsin without sacrificing modern amenities will fall in love with Rustic Manor 1848. 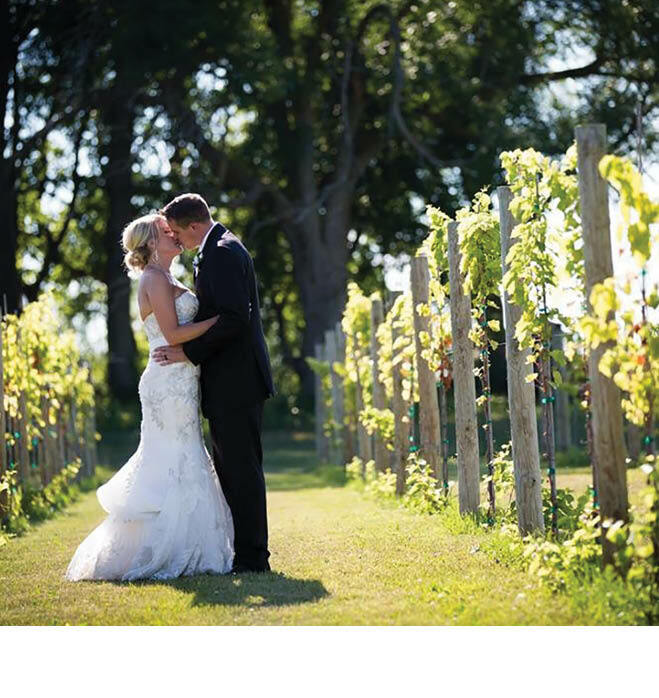 Why It's Hot: Minutes from the Fox River Valley in Hortonville, Whistler’s Knoll hosts weddings in a gorgeous vineyard setting. Its 1800s dairy barn has been refurbished into the Loft, boasting rustic charm that includes original beams and ladders. What To Know: Grapevine Pavilion is adjacent to the vineyard, and can host 200 guests. Inside the barn, small parties of 50 or fewer are comfortably accommodated. Who Will Love It: Those who love to wine and dine: The Wet Your Whistle wine bar is located inside the barn, while the Grapevine Pavilion is set in Whistler’s vineyard. Holly’s wine garden is a cozy entertaining area, complete with three corn crib gazebos and a cozy fireplace.